C-700u to przedwzmacniacz, który łączy wszystko co najlepsze z modelu C-600f dodając najnowsze rozwiązania z flagowego C-900u. Za zniwelowanie do minimum zakłóceń oraz ogólną poprawę jakości dźwięku odpowiadają najnowsze ukłądy ODNF 4.0. Kolejnym elementem łączącym topowy model z C-700u jest regulacja głośności przy pomocy ultraprecyzyjnego uklładu LECUA 1000 dokładnością regulacji aż do 88 stopni. Just like our top of the range model, the C-900u, the C-700u features the new LECUA 1000 high precision electronically controlled attenuator in an unbalanced configuration. An accurate volume adjustment mechanism is fundamental to the operation of a control amplifier. The LECUA* system is extremely resistant to external vibration and changes in sound quality over the volume control range, as well as being an extremely durable design. 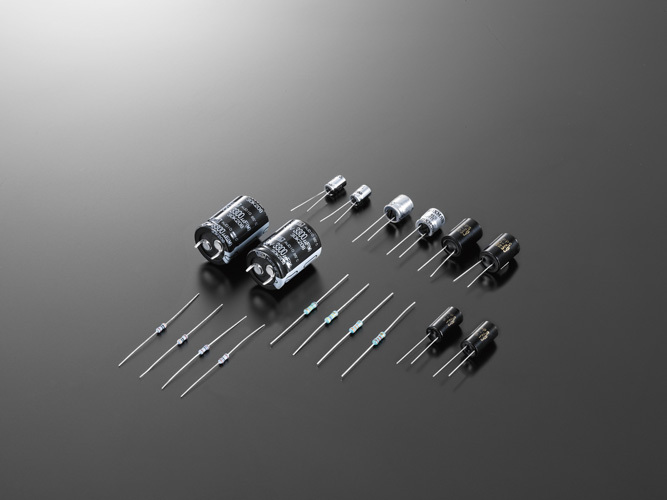 The LECUA circuit uses stepped fixed resistance and increasing the number of steps from 72 to 88 allows more delicate volume control adjustments from 0dB to 87dB with no deterioration of sound quality. This circuit also accurately handles any left and right balance adjustments. Our latest negative feedback circuit, ODNF** version 4.0, achieves even higher performance by being quadruple paralleled in the first main amplifier stage, triple paralleled in the first error detection stage and featuring a Darlington connected second stage. Only the distorted components of the audio signal are fed back to the amplification circuit to optimize the negative feedback effect. Increased primary slew rate and ultra-wide bandwidth contribute to an extremely low level of distortion, especially in the high frequency range. An improved signal to noise ratio allows the full expression of delicate musical pieces where the amount of feedback should be minimal. * LECUA stands for "LUXMAN Electrically Controlled Ultimate Attenuator". ** ODNF stands for "Only Distortion Negative Feedback". 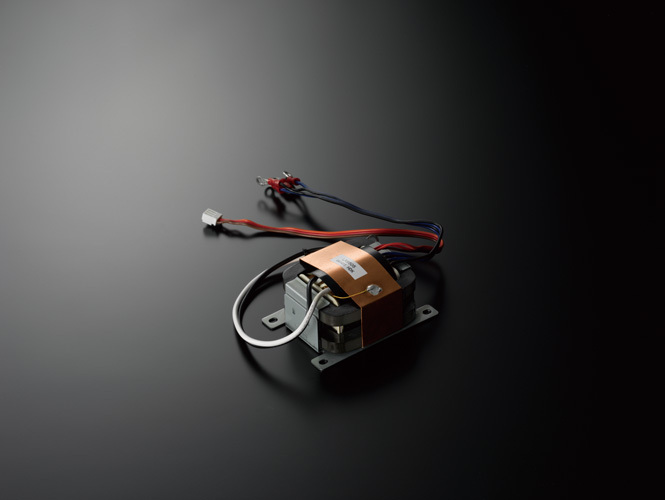 In order to embody the philosophy of "Power Amplifier Driver", meaning a component which powerfully drives a power amplifier connected in the next stage, the C-700u has a large capacity power supply featuring an OI-type power transformer and is regulated by two 3,300μF blocking capacitors. This circuit creates a firm power base to support the sound quality of the C-700u. The highly visible fluorescent display is equipped with a dimmer and has a four level zoom mode, adjusted via the remote control. 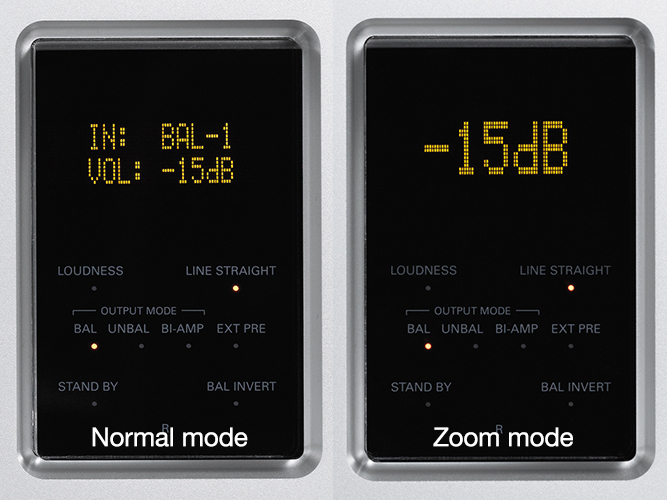 The two part display usually displays the input source and volume level and is also eye-friendly and clearly visible from the listening position. 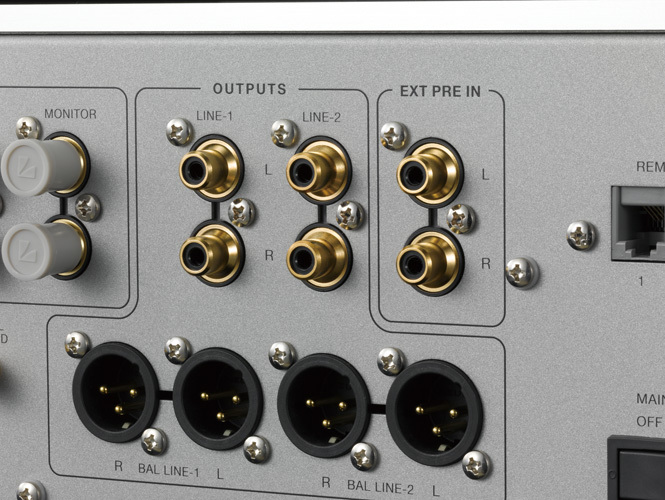 The C-700u is equipped with unbalanced external pre-amp input terminals to which an external pre-amplifier in your AV system may be connected. The balanced inputs have the option of phase switching (pin no.3 HOT to pin no.2 HOT) which can be adjusteded and memorized for each balanced input. This is useful for connecting to units made by other manufacturers. The new LECUA 1000 system uses a 3D component layout to both minimize the signal route and improve it's efficiency. 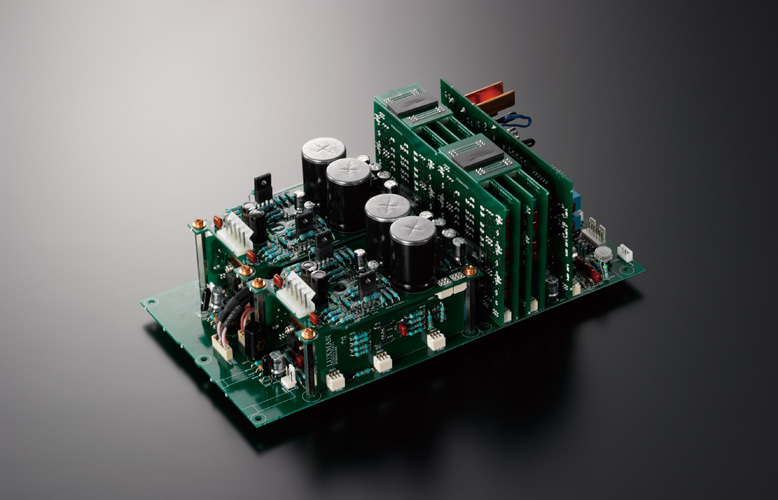 The ultimate solution for a high class control amplifier is realized by the direct connection between the attenuator circuit and the amplification circuit, eliminating the concept of independent, individual circuit blocks. A loopless chassis structure has been used for the enclosure to eliminate increased ground impedance and the effects generated by electrical or magnetic fields. 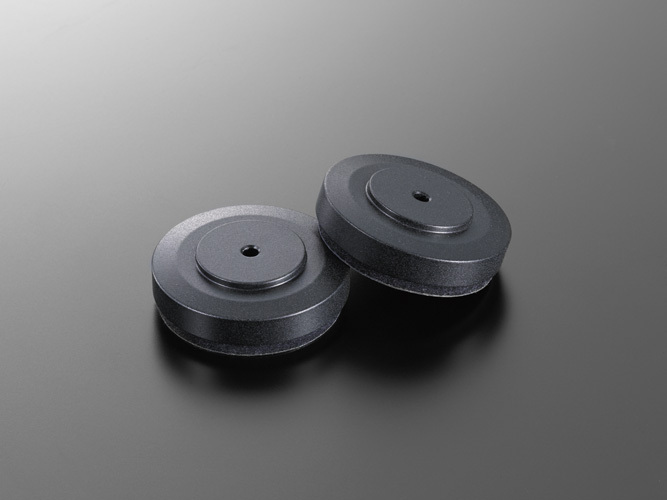 Cast-iron isolator legs prevent resonance thanks to the characteristics of their metallic structure, the density gradient decreases from the center to the periphery of each leg. The legs also eliminate adverse effects caused by vibration and effects from the power transformer or the supporting surface. 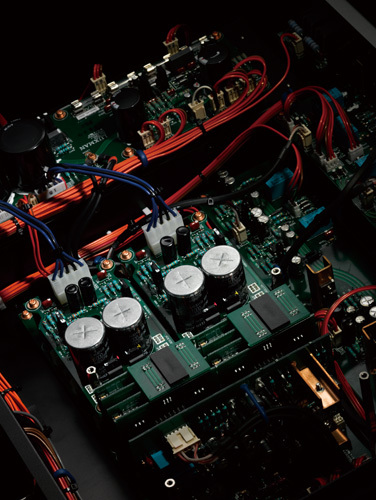 The C-700u features original custom made components, such as resistors, capacitors and even the unit's entire wiring, designed or selected as a result of LUXMAN's advanced experience and sensibility, accumulated over a long history of designing audio products. We consider sound quality as our first priority. The selected components have contributed to the realization of rich tone that LUXMAN has constantly pursued. 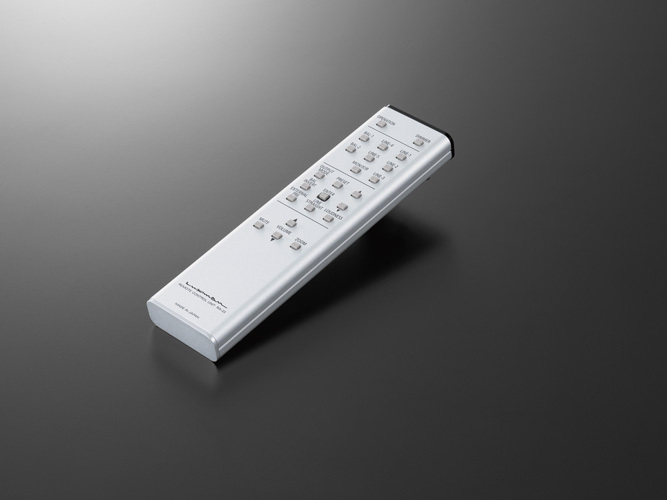 The slim aluminum remote control feels comfortable in the hand and allows users to operate a wide variety of the C-700u's functions, such as input selection, volume adjustment, display zoom and dimming, loudness and more from the listening position.